Fathom’s luxury cruise ship Adonia in Cuba. With Cuba’s doors open to U.S. travelers, there are more opportunities than ever for you and your clients to visit the trending island nation. 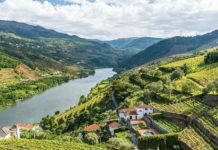 Following this week’s sailing, Fathom’s 704-passenger Adonia luxury cruise ship will officially begin operating its every-other-week, 7-night voyage itineraries to three Cuba ports of call, including Havana, Cienfuegos and Santiago de Cuba. Guests aboard the premium small ship are able to take advantage of culturally immersive onboard experiences, including Cuban- and Caribbean-inspired food, films, music and dancing. 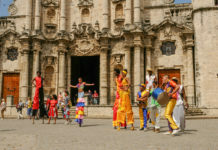 Additional onboard programming ranges from an orientation of Cuba’s history, customs and culture to conversational Spanish lessons and geographic-inspired entertainment. 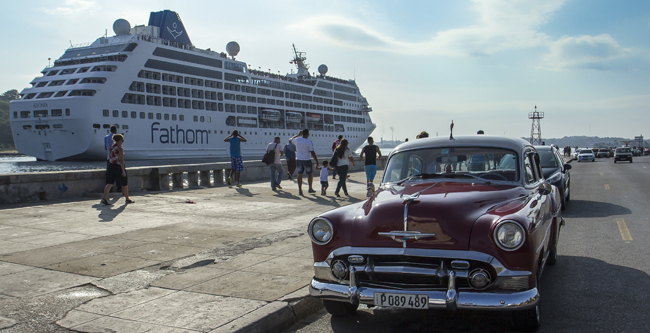 The Adonia’s 7-day Cuba sailings will depart from PortMiami on Sundays at 4:30 p.m. Eastern time (ET), and arrive in Havana, the following morning at 11 a.m. The Adonia will return to her homeport at PortMiami on Sunday at 7:30 a.m. Rates for Adonia’s 7-day Cuba itineraries start at $1,800 pp, and include all meals on the ship, onboard experiences and several on-the-ground activities. Cuban visas, taxes, fees and port expenses are not included. For more information, call (855) 932-8466 or visit fathom.org. Lindblad Expeditions and National Geographic are heading to Cuba on a 10-night sailing this December. Lindblad Expeditions-National Geographic has announced its plans to launch a 10-night people-to-people Cuba by Land and Sea: Cultural Heritage and Natural Wonders program on Dec. 7, with 16 consecutive departures through March 2017. 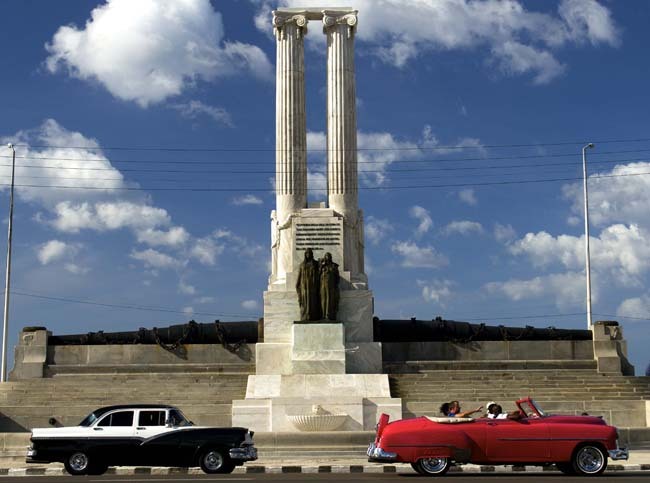 The people-to-people program begins with a 3-night stay at the historic waterfront Hotel Nacional in Havana, before embarking on a 7-night voyage along Cuba’s southern coast aboard the 44-guest cruiser, the Panorama ll. During the trip, guests will visit Havana, Trinidad, and Cienfuegos and have the opportunity to meet with locals, learn about the island’s history and culture through architecture, music-, dance-related activities, plus explore the island nation’s iconic cigar and car subcultures, in addition to hearing how Cuban conservationists are working to preserve the island’s marine habitats. Highlights of the program include visits to the Jardines de la Reina Marine Park; the chance to snorkel or scuba dive among corals, fish and other marine life; and the opportunity hike on the island while looking out for ospreys, frigate birds, spoonbills and pelicans. 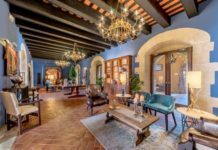 Additionally, guests will tour the Bay of Pigs, watch a performance by the award-winning Cienfuegos Choir, and enjoy several meals in some of Havana’s best paladares. The visits to the Gardens of the Queen and the Bay of Pigs are pending permission from Cuban officials. 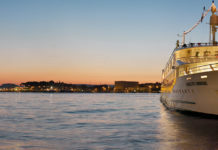 On board, guests will learn more about Cuba from Lindblad’s onboard team of naturalists, cultural specialists and a Lindblad-National Geographic certified photo instructor. Rates start at $9,550 pp dbl in a Category 1 cabin. For more information, call (800) 397-3348 or visit expeditions.com. Zegrahm Expeditions’ 56-passenger sailing ship Le Ponant. Agents looking for a longer booking window can start planning their clients’ Cuba trip more than a year in advance. Zegrahm Expeditions is offering a 17-day small ship expedition cruise departing March 29, 2017 aboard Le Ponant. The 56-passenger sailing ship will nearly circumnavigate the island, beginning in Havana and cruising around the east side to Cienfuegos, where guests can disembark and enjoy a 2-night stay in Playa Larga. 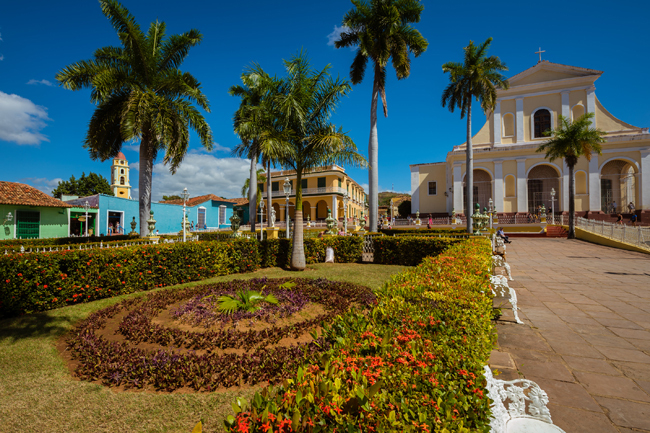 Along the way, guests have the opportunity to savor traditional cuisine, tour the Arte Corte interactive museum and visit the Buena Vista Social Club in Havana, explore the historic, cultural capital of Santiago de Cuba and stroll through charming, colonial Cienfuegos. 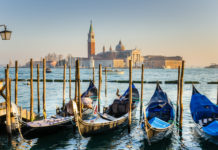 Rates start at $17,580 pp in a Category 1 stateroom and include all gratuities, accommodations, group meals, including wine and beer with lunch and dinner, group transfers, guided excursions as stated in the itinerary, entrance fees at sites, and medical expense coverage and emergency evacuation insurance. For more information, call (800) 628-8747 or visit zegrahm.com. Group IST is offering a discounted Cuba FAM cruise in October. 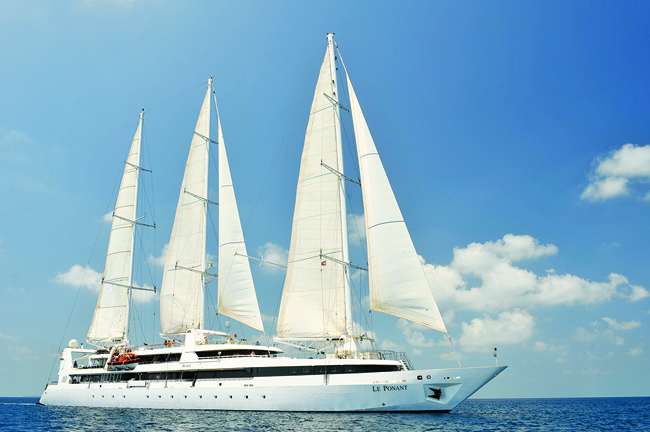 Group IST is offering a discounted Cuba FAM cruise for agents on Oct. 1, 8 and 15 aboard the S/C Panorama II. The Havana to Cienfuegos FAM cruise is a 1-week program featuring two ports of call, and an English-speaking Cuban guide, plus educational and interactive experiences. 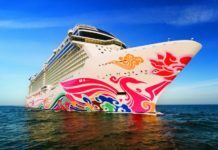 Rates start at $1,890 pp dbl, and include accommodations aboard the Panorama II, roundtrip airfare from Miami International Airport (MIA) to Cuba, all meals from arrival in Cuba to breakfast on the day of departure, port charges, a $25 departure tax, and mandatory Cuban medical insurance and transportation as per itinerary. Travel agents’ companion rates are available from $2,390. Single supplements and Category A cabins are available for an additional $600 each. Visa fees and baggage charges are not included. For more information, call (800) 833-2111 or visit groupist.com.